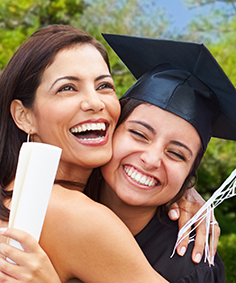 Our collegiate diploma frames and coordinating photo frames are custom-designed for thousands of colleges, universities, and graduate schools. We offer a wide selection of options including tassel diploma frames, campus scene diploma frames, and a variety of medallion frame styles to showcase the institution's name, seal, or logo. 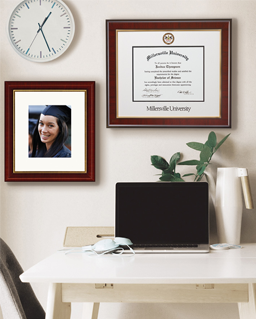 Our college diploma frames and university diploma frames feature high-quality frame moulding, clear picture frame glass, and museum-quality matting, backing, and mounting materials. Find your college or university diploma frame by searching for your school, browsing an alphabetical list of schools, or browsing a list of schools by state. Also, you can design your own custom document frame for a diploma or certificate - just visit our Design Your Frame center to get started! and red matting, framed in our Westwood moulding. athletic orange matting, framed in our Easton moulding. Features a custom die-struck brass or pewter medallion with color enamel accents set into double museum-quality matting. Features luxurious single suede mat with color-enameled Masterpiece medallion of the school seal. Offers a unique bevel-cut double mat in the school colors with a color-enameled Masterpiece medallion of the school seal. Features full-color artwork of notable college landmarks or campus landscapes in a bevel-cut oval mat opening. For a lasting memory of your school, our Campus Scene frames feature a professional panoramic or full-size campus photograph. We offer a variety of campus scenes or notable campus landmarks and buildings to complement the presentation of your university or college diploma. For a distinctive look, display your school seal or emblem prominently with our gold or silver engraved medallion recessed into a 23K gold or silver bezel. Each medallion is inset into a bevel-cut opening in the mat above the diploma with the school name embossed below. The school name and seal are embossed on the matting in a gold or silver foil. Features a gold or silver engraved medallion of the school seal framed in Cordova moulding with a high-gloss cherry finish. The Millennium is framed with black suede matting. Display your school tassel in a special shadow box opening alongside your diploma. The Tassel features a deep profile moulding to accommodate an oversized academic tassel with your school name and seal embossed on the matting. 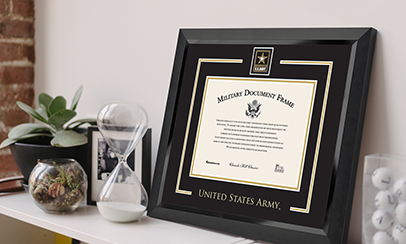 Our double document frames feature two openings to display two diplomas, a diploma with an honors certificate, or a diploma with a photo. Our Acadia and Rainier frame mouldings are made with 100% recycled American wood. They have the look and feel of solid wood and the high quality and presentation of our traditional mouldings. We offer a wide variety of handcrafted frame styles to showcase your high school or preparatory school diploma by itself or alongside your tassel, academic or athletic awards, or your graduation photo. Design your high school diploma frame. We have over 25 years of experience manufacturing custom frames. All of our custom frames are handcrafted at our Connecticut headquarters. We support our licensed schools and institutions through royalty contributions, and we also partner with local college stores or alumni associations, wherever possible. 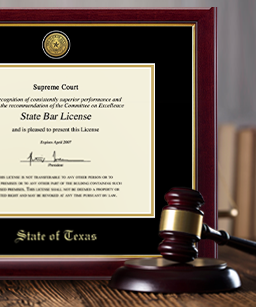 We're honored to do your custom document framing to showcase your success! Please search for your school, or for further information, please call us at 800-477-9005 or e-mail us at info@diplomaframe.com.